KoreConX Transfer Agent Services Ensures SEC-Compliance in the USA, Canada and Australia. KoreConX Transfer Agent’s features were built around multinational SEC compliance, ensuring adherence to regulations. 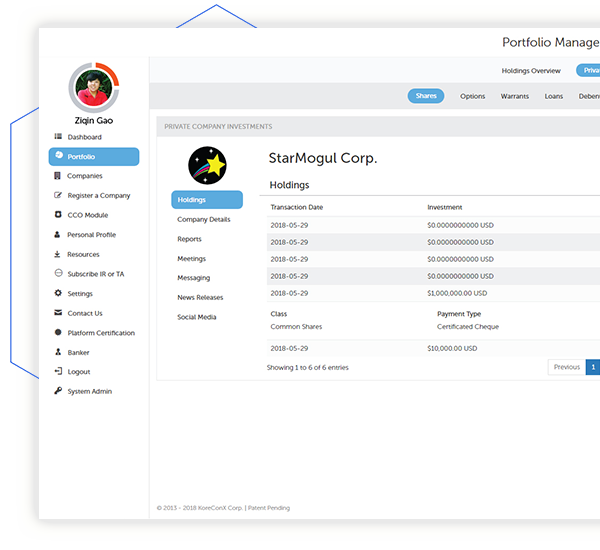 Investors enjoy online control over shares and access to all company records hosted securely on one platform. Professional investor support and simplified crowd-funding drive both investor and business success. KoreConX Transfer Agent Allows The Ability To Easily Transfer Shares Electronically Between Shareholders. 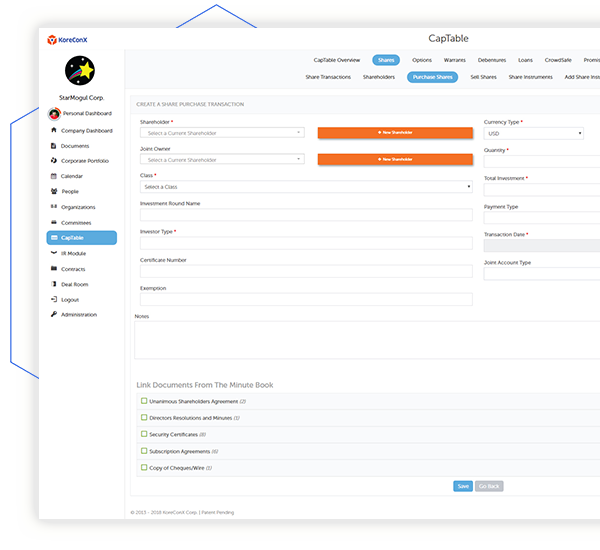 The KoreConX Transfer Agent issues electronic stock certificates, updates stock ledgers and the CapTable Manager in real-time. 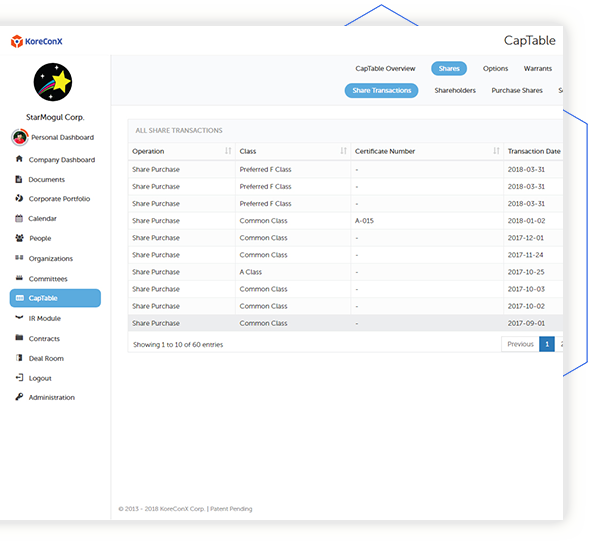 Companies can issue and track convertible notes or SAFEs. At conversion, they’re linked to their resulting certificates. KoreConX is SEC-Registered, providing the Safe Harbor exemption and built-in safety control. The costly, outdated practices of manual paperwork and lengthy turnaround time are cut out of the process. Businesses can live free of shipping and lost certificate fees associated with issuing physical stock certificates. KoreConX Transfer Agent Simplifies Crowd-Funding and Cuts the Cost. Businesses can manage securities-based crowd-funded transactions in one platform, and take advantage of cost savings with RegCF crowdfunding. The traditional inefficiencies required by crowd-issuers are eliminated by KoreConX Transfer Agent’s online, single-platform hosting. The costly, outdated practices of manual paperwork and lengthy turnaround time are cut out of the process. KoreConX Offers Professional Investor Support, and Gives Investors Peace of Mind. 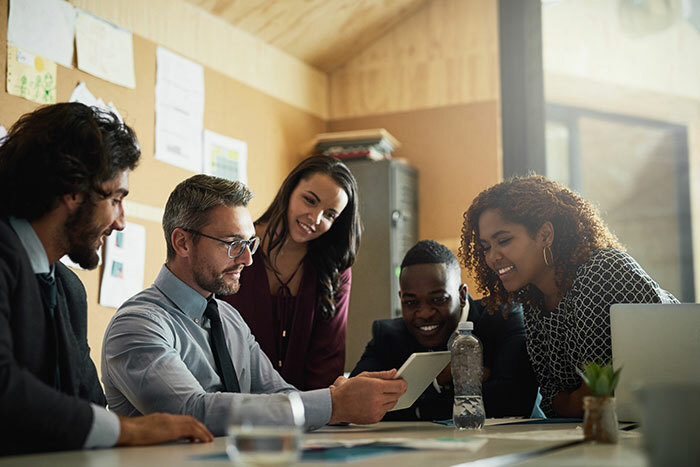 Professional transfer agent services provide support directly to issuers and shareholders, delivering a personalized experience where investors know an independent, professional transfer agent is managing your stock. In addition, KoreConX is an SEC-registered EDGAR filing agent that can assist with crowdfunding filings. Investors engage with greater confidence when shareholder transactions are more than just transactional and fosters an environment of trust. KoreConX Transfer Agent’s commitment to investor success sheds positive light on growing businesses. "Trust and transparency is essential for a healthy equity crowdfunding ecosystem, and companies like KoreConX make it easy for companies and equity crowdfunding portals alike."